The Freedom Group provide engineering design, installation and maintenance services to electricity networks and specialise in large projects for utilities. 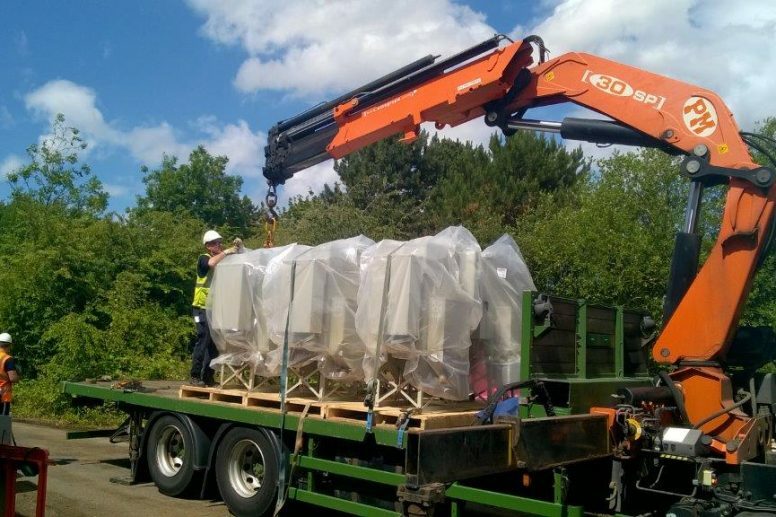 The company was contracted by Thames Water, a large water utility company, to manage the refurbishment of the electrical substations for Thames Water’s Blackbirds Sewage Treatment Works and Drop Lane Sewage Pumping Station sites. 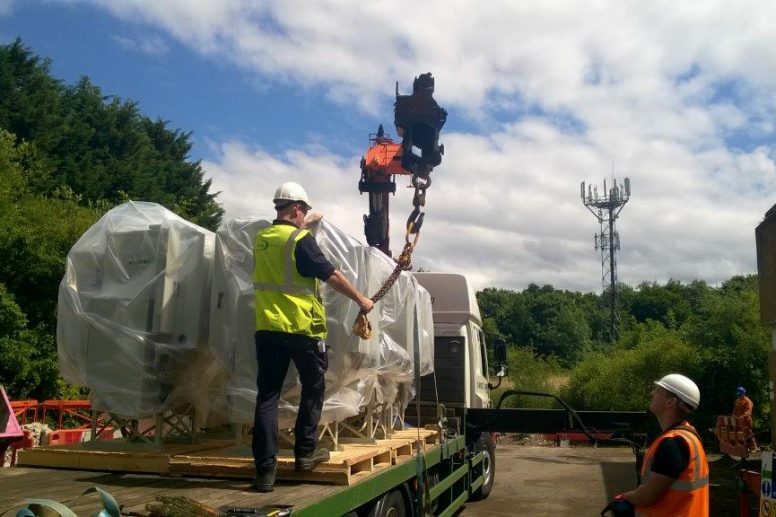 At over 30 years old, the switchgear at Blackbirds Treatment Works and Drop Lane Pumping Station were in need of replacement. 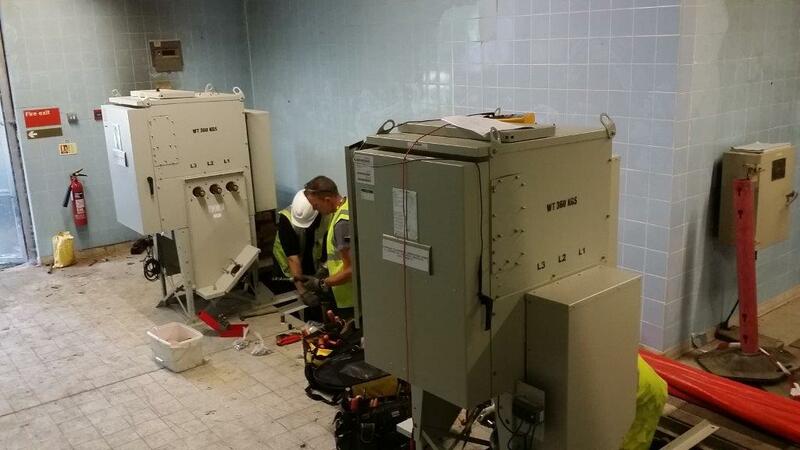 As part of an overall upgrade of both sites, Thames Water took the decision to replace these with modern switchgear assets, which would deliver greater functionality and the option to install automation in the future if required. In order to perform the work, a network outage was required and timings were critical in order to keep the outage to a minimum and avoid interruption to the sewage treatment process for the surrounding area. As the contractor for the project, Freedom were looking for a supplier that could deliver a complete switchgear solution and provide end-to-end management of the project from initial order, through to installation, testing and commissioning. Freedom needed to have absolute confidence that the partner they selected would be able to keep to tight and defined timescales in order to ensure minimal network outage. This equipment consisted of one Sabre VCE2a 250A CB motor close 24VDC actuator with OC&EF protection 200/100/1A CT’s, directly coupled to a non-auto/non protection Sabre VCE2a as a point of isolation for the rear mounted direct coupled with a three phase – three limb air metering unit (11000/66000/110V- 400/200/5A CT’s), providing voltage reference for G59 tripping in conjunction with CB actuator previously mentioned. This was the largest project undertaken to date by Lucy Electric’s Energy Services team and was highly labour intensive. commissioning of six Sabre VRNa units at the substations on the two sites over a fixed four-week period, as defined by the customer and the DNO responsible for the network. The install team ensured all risk assessments and method statements were completed ahead of schedule, and the entire lifecycle of the project was managed and delivered in close collaboration with the customer to meet all specified requirements. When the need arose for an onsite reinstatement of the medium voltage circuit, the team assisted with commissioning. They worked closely with their customer and end client and completed all associated test documentation. At the end of the project, Thames Water had fully refurbished substations on two sites with modern protection equipment and switchgear. Going forward, this will ensure safe and reliable electrical networks for both sites. The switchgear for each site has been installed and checked by the manufacturer and all equipment is proven to be functionally correct, giving the contractor and the end client confidence and peace of mind. The site substations are now future-proofed, with robust, modern, low maintenance and reliable switchgear, and a built in, easy upgrade path for future automation solutions, should they be required.